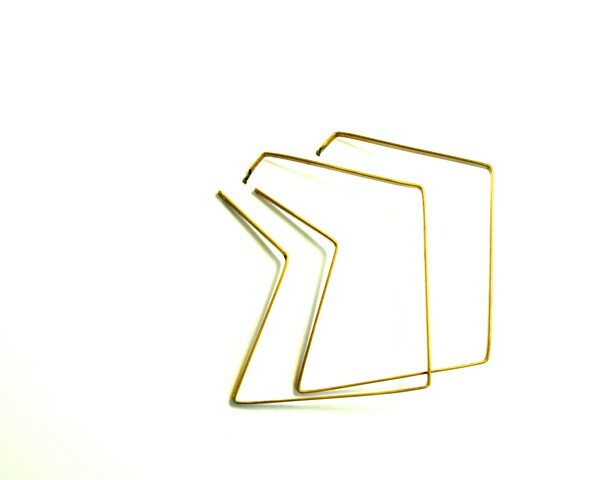 This angular hoop style earring is made of oxidized brass with silver posts and is very light-weight and wearable. The post catches a hole in the back to secure them to your ear. Simply fashion forward. Also available in oxidized sterling, and sterling.